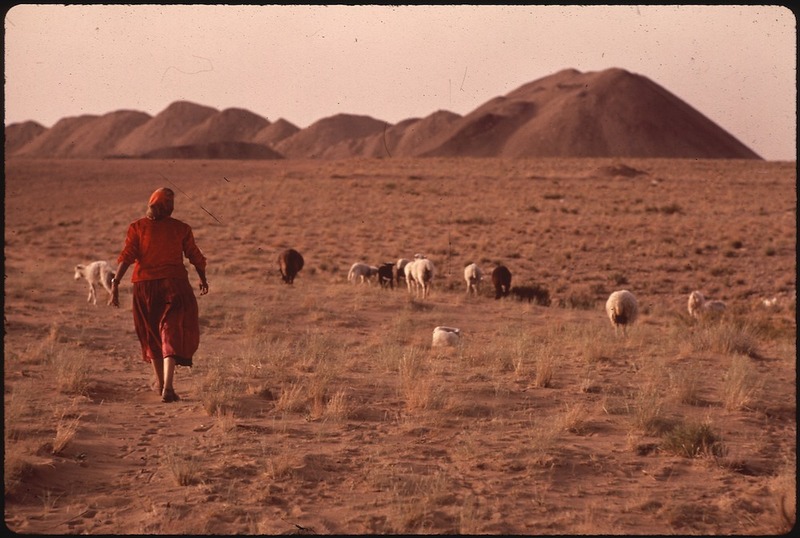 Tending sheep on the Navajo Reservation, May 1972. Photo by Terry Eiler/Wikimedia Commons. In early October, when the leaves turn golden and the shadows of the Sawtooth Mountains lengthen, the annual Trailing of the Sheep Festival moves through south central Idaho. The festival, complete with a sheep parade, sheepdog trials, and a wool fest, celebrates the long relationship between sheep and their human companions. Sun Valley, Idaho, is synonymous with New West wealth, but it sits in the Wood River Valley, where more humble ranchers and farmers have long made their living. In the 1990s, as bike paths shouldered their way along a historic sheep driveway, local community members sought a way to minimize conflict between recreation and sheepherding. Hence the festival, a modern palliative to the centuries-old range wars that have occurred on sheep-raising land in the West. “Every year our sheep are forced to travel farther and wider through the hills to avoid new housing developments and populated hiking and camping areas,” writes Diane Josephy Peavey, an Idahoan sheep farmer, who was one of the founders of the Trailing of the Sheep Festival. The Trailing of the Sheep Festival’s roots in conflict—or in to trying forestall it—is not surprising. Sheep colonized the West before Spanish missionaries, the U.S. Army, and homesteaders did. So early did the animals arrive that in parts of the West, sheep seem ubiquitous and timeless. The Blessingway ceremony of the Diné, or Navajo, teaches that sheep helped create and define their homeland even before humans arrived. In the American West, conflict seems to have followed sheep hoofprints like an invasive weed. This was the case, in large part, because an economic system developed by sheepherders in faraway Europe migrated, like the animals, to western American mountain ranges. Transhumance, as this system was known, had characterized pastoralism throughout the Mediterranean world for hundreds of years: Unable to sustain flocks in lowland plains, shepherds took to the mountains in summer to fatten the animals. With the sheep came itinerant sheep tenders, as well as ecological problems, transforming the Western highlands. In New Mexico territory, 619,000 sheep in 1870 grew to nearly five million in less than two decades. Herders drove bands of 2,000 sheep into high elevations, where they devoured ripening grasses in one area after another. Gregarious animals who stay close together, sheep often devastated a range quickly, consuming plants before they could reproduce. Their ravenous appetites were matched by their tough hooves, which disrupted and compacted the soil, worsening erosion and preparing the way for invasive weeds. 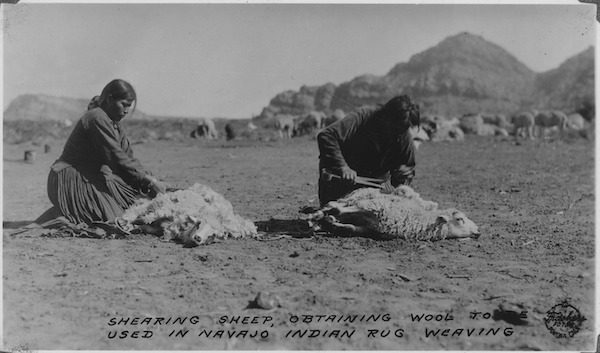 Navajos shearing their sheep. Southern Navajo Agency, 1933. Image courtesy of Department of the Interior. Bureau of Indian Affairs. Portland Area Office. Salt Lake City Extension and Credit Office/Wikimedia Commons. Sheep herders and cattle ranchers competed for scarce labor and diminishing range resources for their herds. Much more so than cattle, sheep required careful attention in their herding, making the sheep economy more labor intensive and less profitable for investors than cattle ranching. The two agricultural systems didn’t mix easily, with ranchers insisting that sheep and cows could not graze the same land. What’s more, the American love of private property sat uncomfortable alongside the mobility of transhumance, which involved flocks of sheep moving dozens, even hundreds, of miles over the speckled private-public landscape. Tales of range wars have long storied the Western past. Arizona’s Pleasant Valley War through the 1880s and 1890s was one of the most famous, fictionalized by Zane Grey in To the Last Man (1922) and depicted in film 11 years later. The Oregon Sheep Shooters Association in the 1890s organized ranchers to exclude sheep—and their herders—from the new federal forest reserves (now known as national forests) along the Cascade Mountains. Further east in that state, the Crook County Sheep Shooters told sheep herders to stay off land ranchers claimed, warning through local newspapers and in messages left on shepherds’ cabins or tents: “You are hereby notified to move this camp within 24 hours, or take the consequences.” The Sheep Shooters—“men of high ideals as well as good shots by moonlight”—reported killing between 8,000 and 10,000 sheep in 1903 and burning down camps and corrals. Control of the range was tense, serious business. That sense of otherness, of a people apart, crossed the Atlantic. While virtually all cattle ranchers and most cowboys were white, sheep herders often included Native Americans and Hispanic and Mexican villagers for whom watching over flocks continued traditions—as well as transplants from the mountainous Basque homeland on the French-Spanish border, who took handily to shepherding after immigrating to the West. The Sheep Shooters—“men of high ideals as well as good shots by moonlight”— reported killing between 8,000 and 10,000 sheep in 1903 and burning down camps and corrals. Control of the range was tense, serious business. The Basque, or Euskaldunak, were so ubiquitous as shepherds that in many parts of the West “Basque” elicits immediate associations with sheep herding. They brought a culture: Basque herders created intricate, beautiful, and sometimes ribald arborglyphs in the barks of the trees , carvings that decorated countless aspen around the West. Some remain today, a century after they were carved. 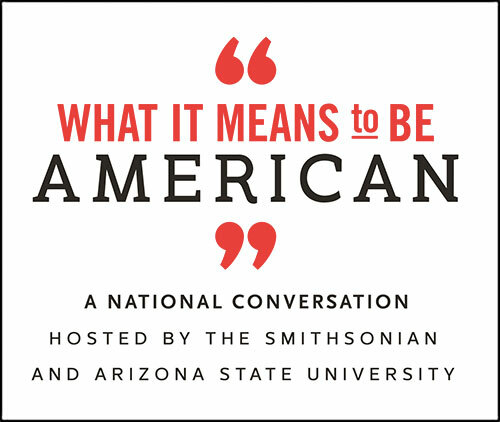 Historian Joxe Mallea-Olaetxe has studied arborglyphs extensively, in California and Nevada, showing how the messages tell the story of Basques in America. There were exceptions, of course: the so-called Idaho Sheep King, Andy Little, migrated to Idaho from Scotland in 1894, joining other Scottish immigrants to the Pacific Northwest and reflecting a common pattern of foreign ownership and investment in Western pastoralism. Mobility—of owners, herders, and animals—always characterized the industry. Though it was not nearly as famous as the state’s potatoes, the Idaho sheep industry thrived. The business remained influential in the state for decades. Only in 1970, reportedly, did people finally outnumber sheep there. The transition has not always been smooth. Like the growth of shepherding in the late 19th century, the boom in Western tourism threatens a new sort of range war. The same places that worked well as summer ranges for sheep have attracted recreational activity and second homes. Hikers, bikers, and other newcomers and visitors seldom appreciate the deep traditions carried along these trails, carved into arborglyphs, and enshrined in the Basque boarding houses of Western towns like Boise or Hailey. So, rather than run the tourists and newcomers out with threats and fists, Peavey and other modern sheep fans have invited them in, to join in watching Basque dancers or attending the Sheepherders’ Ball, complete with a lamb dinner buffet. It’s more than just a celebration, really. Only by recognizing these constant negotiations between old and new, between animal and environment, and between tradition and innovation can we appreciate the gravity of this task of smoothing the way. Sheep paths in America have been rough for ages. Adam M. Sowards is Professor of History at the University of Idaho. He has published three books, most recently Idaho’s Place: A New History of the Gem State. Follow him at @AdamMSowards.